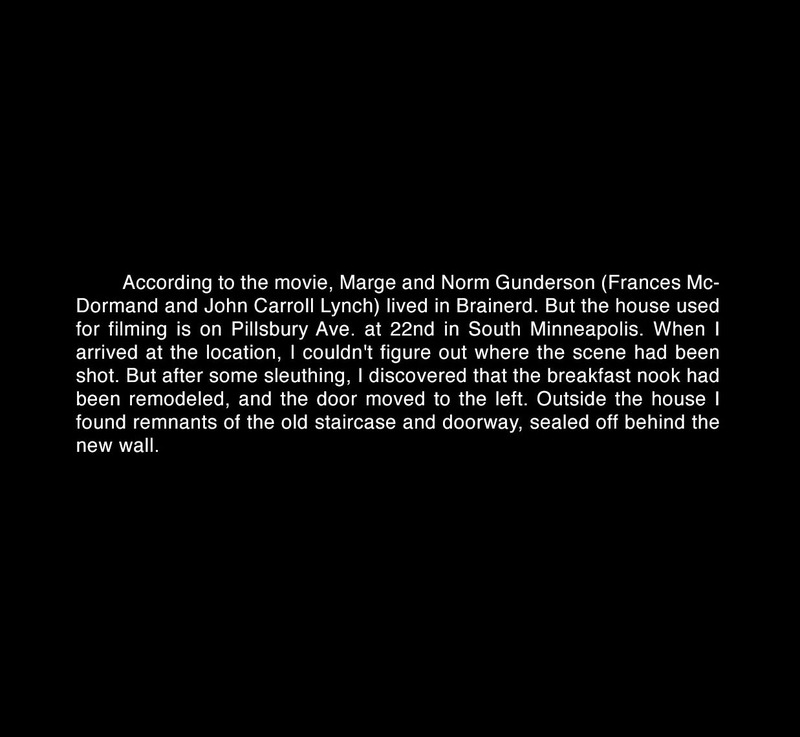 According to the movie, Marge and Norm Gunderson (Frances McDormand and John Carroll Lynch) lived in Brainerd. But the house used for filming is on Pillsbury Ave. at 22nd in South Minneapolis. When I arrived at the location, I couldn't figure out where the scene had been shot. But after some sleuthing, I discovered that the breakfast nook had been remodeled, and the door moved to the left. Outside the house I found remnants of the old staircase and doorway, sealed off behind the new wall.